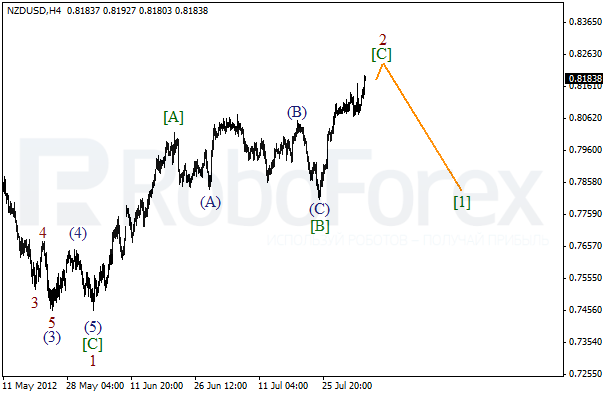 New Zealand Dollar is still being corrected. 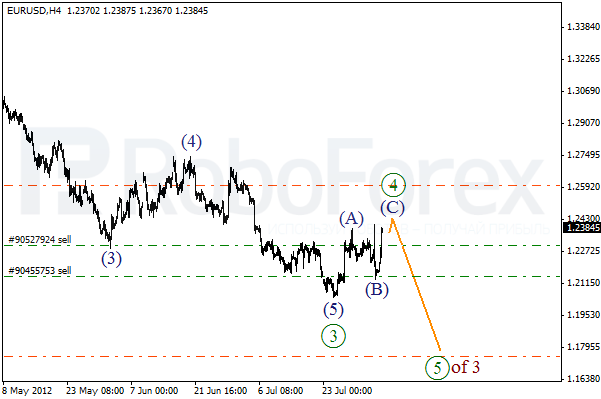 At the moment the price is forming wave [C] of 2, inside which the pair may continue growing up a bit during the week. However, after that we can expect the price to make a reverse and start forming an initial descending impulse inside wave . As we can see at the H1 chart, the price continues moving upwards inside wave (5) of [C]. We can’t exclude a possibility that the bulls may form several ascending waves during the week. Overall, we can expect the price to complete the correction and start falling down again. Euro is also still being corrected. 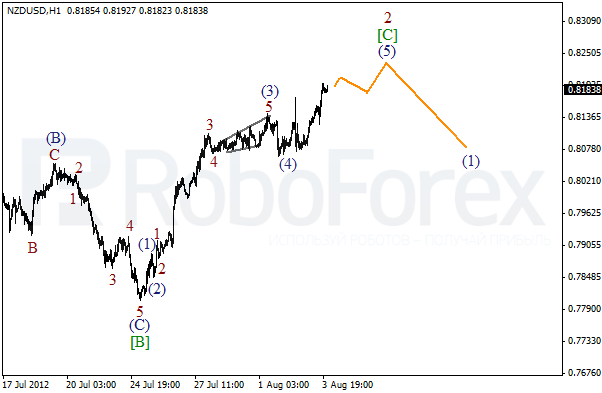 Last Friday the market started forming wave (C) of  by making a fast movement. However, the bulls may become weaker on Monday. Most likely, during the next several days the price will start moving downwards while forming wave  of 3. More detailed wave structure is shown on the H1 chart. We may assume that wave (B) has taken the form of flat pattern. 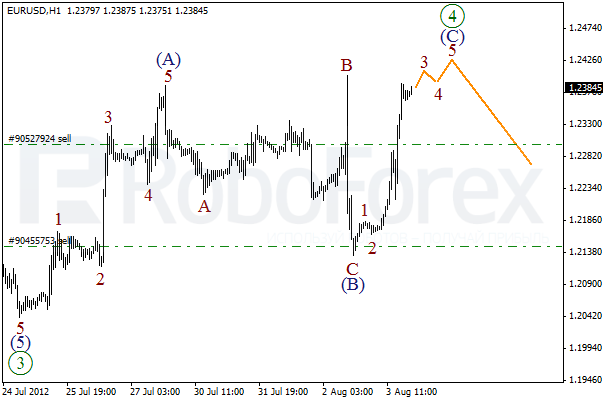 Currently the price is forming an ascending impulse inside wave (C). The local growth of the price may continue during Monday.